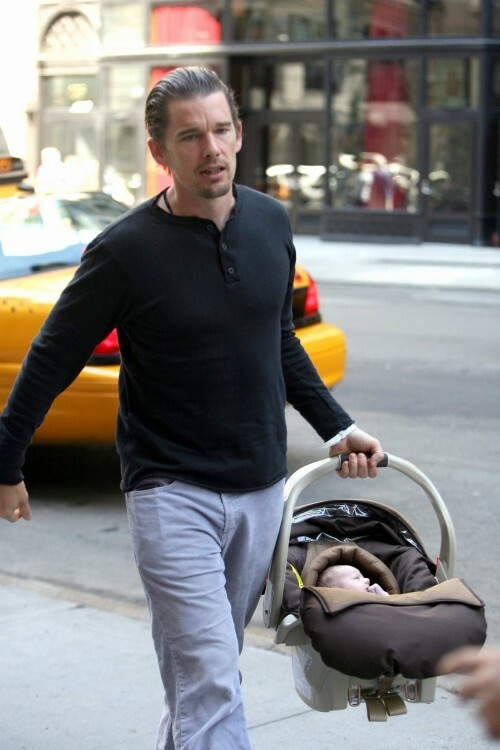 Actor Ethan Hawke toted baby Clementine in New York City. Ryan Shawhughes, the new mom, waited in a cab nearby for the two. This is the third child for Ethan and first for Ryan.